While serving in the Singaporean Navy, Gabriel Tan became aware that such a thing as industrial design existed, and a floodgate opened. He soon earned a design degree from the National University of Singapore and went on to open his own studio with an international reach. But Tan never forgot his days aboard ship, and when it came time to design the Port Table (2017), he drew inspiration from a common feature of ships: the porthole, with its stout frame surrounding a pane of circular glass. The design was an attempt to rethink marble and glass coffee tables with vulnerable exposed edges. 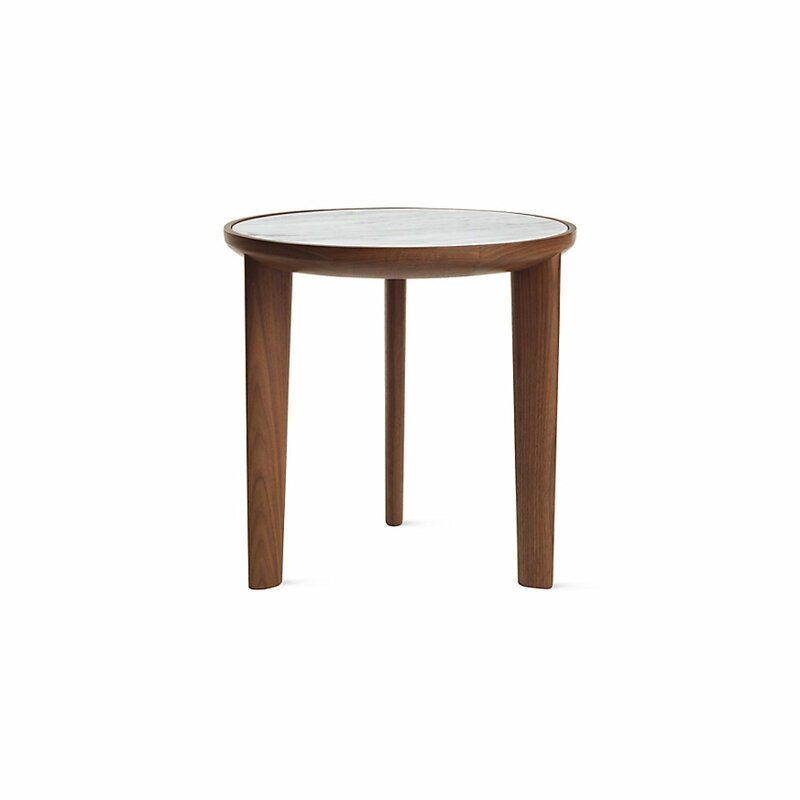 "In the same way a porthole frame protects," Tan explains, "the round wooden frame of the Port Table protects the edges of the stone or glass from chipping and protects people from sharp edges." Likewise, he says, "The three fin-like legs have soft edges, too, which are easy on legs and also beautifully sculptural." Made in Malaysia.